These are gorgeous on you Kim! Yay!!! Can't believe I won! Can't wait to try out that gorgeous pillow case. Oh wow these shades are stunning that you got!! I really like how pigmented they look! Yayy.. Kim, that melted strawberry rocks! And congrats for the success of your recent giveaway contest! You the first person that looks absolutely amazing in the fig color you also rock the other color but fig is hard to pull off you did Kim. Wow! They're both gorgeous on you Kim - incredible pigmentation! 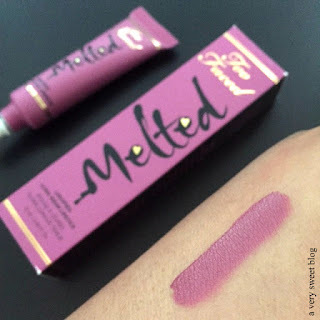 Melted Fig really is beautiful! It's quite dusty which I like in a shade. Wow you are right about that melted strawberry, wow what a punch! (in a good way!) It looks awesome, such a 'look at me' shade! The formulations of these really intrigue me. Both shades look so pretty on you. You can totally rock purple lips Kim! I like that it's not in your face but a more muted shade of purple. I love the way the melted fig looks on you Kim. I'm glad that these are good as they are very popular! Have a great day. The shades of these lip colours really intrigue me but I've tried quite a few and I really dislike the formula, particularly the fuzzy applicator - one it has lip colour on it, it never comes off, so I feel like it's never really clean (silly, I know, but true.) Both of these shades are great on you, though, Kim. I can't believe how bright the red is! Both of these shades are stunning colors on you! Melted Fig looks like the perfect shade. Wow, you are so right...melted strawberry is gorgeous. I honestly don't like the formula of these but I only have one color from the original release. Maybe I should retry! 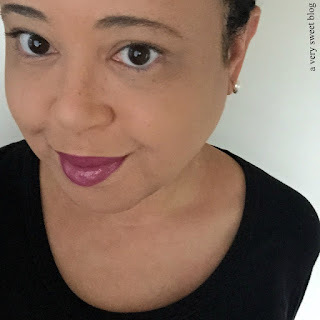 Fig actually looks lovely on you, Kim and yes, it is perfect for Autumn! 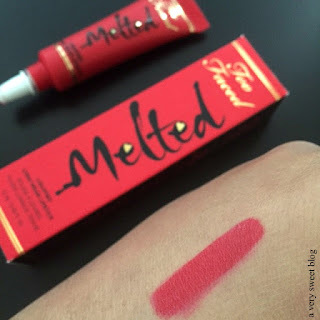 However I am in love with Strawberry, I mean how bold and stunning is that shade?! Wow Kim you rock these bold lipsticks! 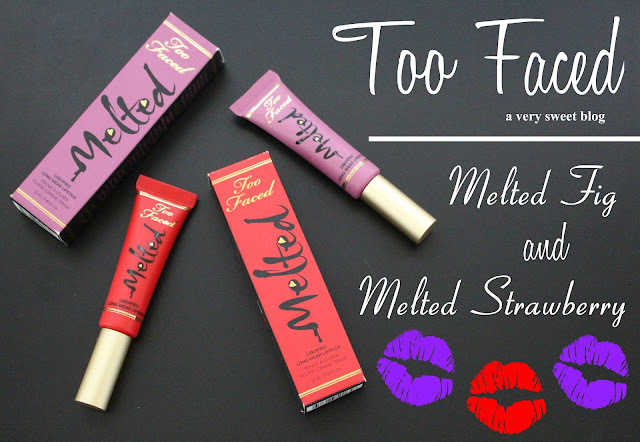 Both melted fig and melted strawberry look great on you! omg i love these both on you! i was imagining a much deeper purple when you mentioned the color, but it looks great on you ! and the red is pretty cute too! I would totally wear it out! I love your description for in the face red color! haha! 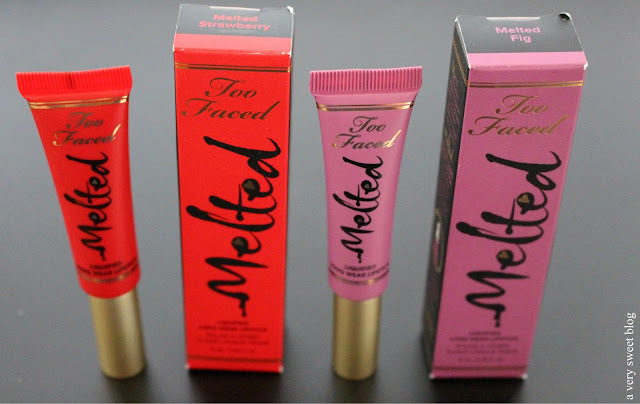 i've never tried too faced lipstick but now i want to make a trip to sephora to get some!! :D thanks for the swatches Kim! I LOVE that fig color on you Kim!!! That is seriously gorgoues! And you're right, that is a party red lol!! I haven't tried any of these yet! 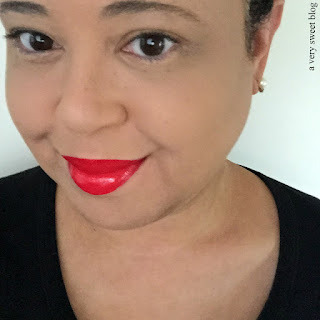 I've never tried any liquid lipsricks befroe actually but I've been kind of intimated lol! I love all the colors on you Kim. How fun is fig? I always like a bright red on you as well. Thanks for the reviews! oh the melted strawberry is fabulous!! I think its great you gave it a try because that plum is gorgeous. oh, i love purple lips!! i have an old mac shade that i used to love, and i got one from color pop, too. i think think shade is pretty on you! I can't pull of bright shade; but you look so pretty in them! 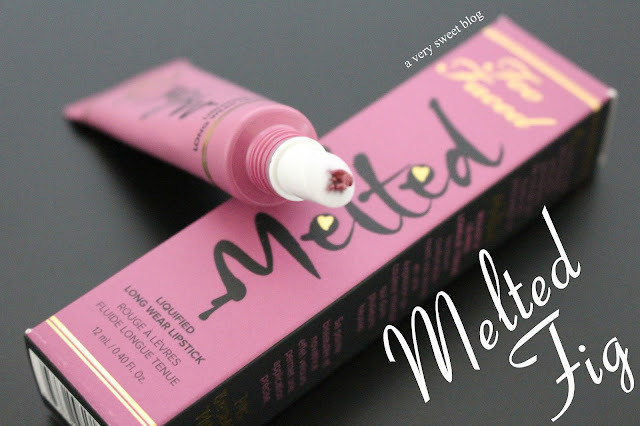 My favourite out of both shades you've reviewed is Fig! Haven't tried neither of them yet, Peony is my absolutely fav! 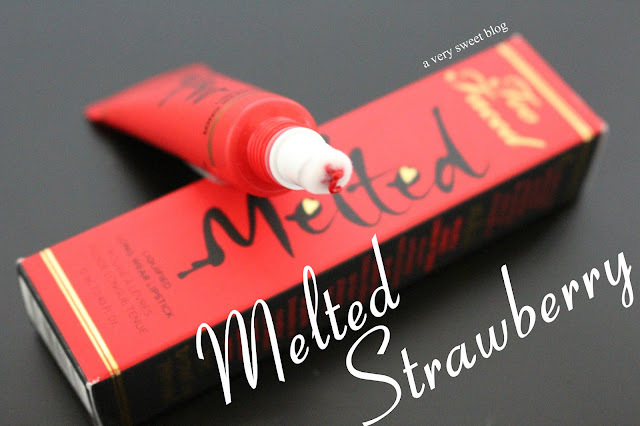 Your description of Melted Strawberry made me laugh out loud - it's so true! I have that one and I love it. I also adore your blog as a whole, I always consult what you have to say when I'm in the market for a new product!